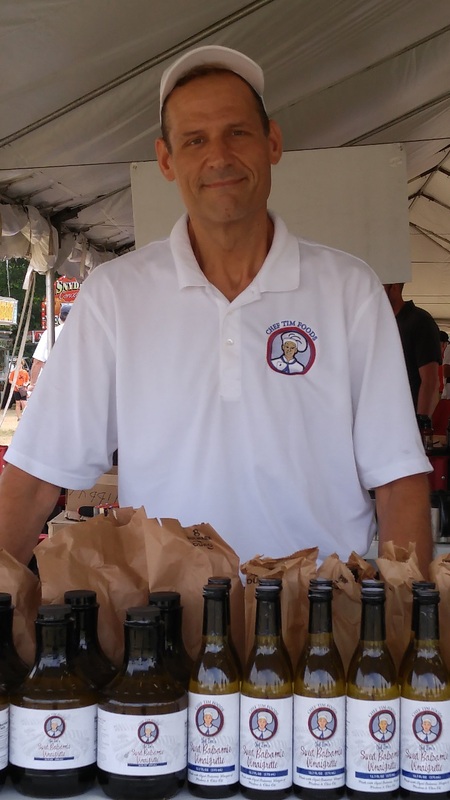 Chef Tim Foods was started in November 2008 and is owned by the husband wife team, Tim & Sabrena Jutzi. We have remained a family owned, small business. Chef Tim Jutzi has 17 years’ experience as a Chef in the food service industry. His experience includes the Pentagon in Washington, DC; the Wyndam Gardens Sea-Tac Hotel in Seattle; the Nationwide corporate offices café in Harrisburg, and the GlaxoSmithKline complex café in Marietta, PA. Tim learned ethnic cooking as a Catering Chef at a Jewish fraternity house at the University of Maryland, and working at a wonderful Trattoria. For many years, Tim’s customers raved about his Vinaigrette, telling him it’s ‘to die for’, and that he should bottle it. For years, Tim thanked them for their compliments and secretly hoped to do exactly that. It became Chef Tim’s dream to see his Vinaigrette bottled and enjoyed by many people. In November 2008, with Chef Tim's recipes and his wife, Sabrena's business skills, they decided to take a leap of faith, purchased some bottling supplies, and started on their dining room table. Chef Tim Foods was born. 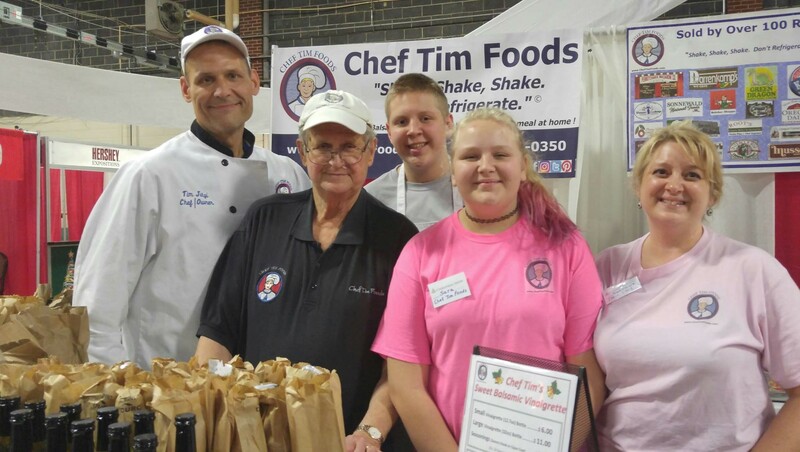 Chef Tim Foods won York Score’s 2013 Shark Bait entrepreneurial competition; and Chef Tim has received People’s Choice Awards for his “Burning Desires” chili at the Pennsylvania Chili Cook-Off. In 2000 won 1st Place in the Pennsylvania Salsa Contest and was asked to represent his state in Reno, NV at the National Salsa Cook-off. We continue to be family owned & operated. Chef Tim & Sabrena are working on bottling more products. In the works are: Honey Mustard dressing, Oriental Sesame/Pineapple dressing, Burgundy Wine Marinade & Glaze, and a Fish seasoning. Our Mission is to provide delicious Vinaigrette and Seasonings to help people create a gourmet meal easily in their own homes, and to spoil themselves with an exceptional meal without the expense of a restaurant. Our products appeal to people who desire to eat healthy, and/or gluten free. His father Jake, his son Aaron, his daughter Sara, and his wife Sabrena.